Diego Maradona has suggested that racism in football is preventing Senegalese international and Napoli centre back Kalidou Koulibaly. 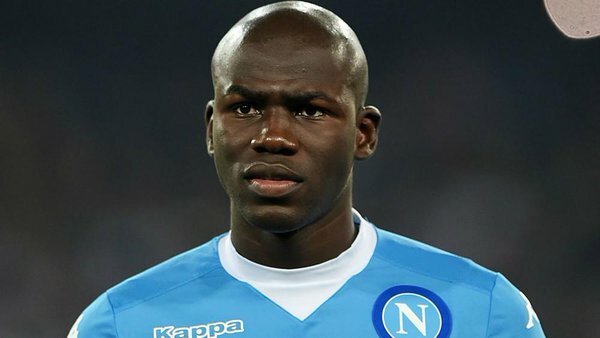 The Argentine legend has claimed that if Koulibaly were white the defender would be playing for either Barcelona on Real Madrid. Koulibaly, 24, has been one of Napoli's key players this season, playing 39 times across all competitions for the Italian club. Maradona, who won two league titles with Napoli, believes white players are favoured over black players and that if Koulibaly were white he would by plying his trade at one of the biggest clubs in the world. The Senegal international has been linked with a move to Bayern Munich, Chelsea and Manchester United in recent weeks. Napoli failed to capitalise on a good start to the campaign, as Juventus were crowned league champions for the fifth consecutive season.